following the sudden collapse of a four storey building still under construction in Obosi, Idemili North Local Government Area of Anambra state, near Onitsha, about 11 workers have been reported to have narrowly escaped death after the building collapsed. It was learnt that the building came down crashing at about 7am, when the workers were just about getting to the site to resume work for the day. One of the residents in the area said that the collapsed building was earlier planned to be a two-storey, before the owner later decided to add two floors to it. He noted that the addition of the floors may have been responsible for the collapse as the foundation was not meant to carry such weight. The resident also noted that there were cracks in the building prior to the introduction of the additional floors. Meanwhile, another resident, Obiageli, described the soil texture of the area as soft and easily washed away by rain. “People hardly build such multi-storied building here. What is common here are two-storey buildings. Besides, the building has been under the rain and sun for years which was enough to weaken the foundation,” she said. 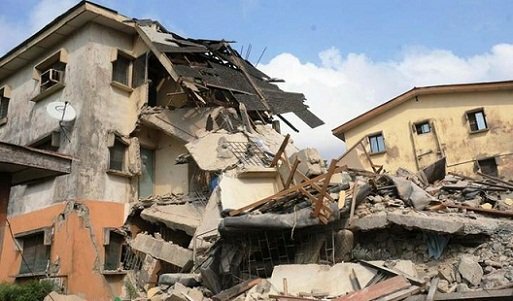 However, the Chairman of the Landlord Associations in the area, Chief Chuka Chukwudebelu, while reacting to the incident blamed the collapse on the use of substandard materials. “We suspect that it may be due to use of inferior materials. The landlord was not in a hurry in the building, probably because of inadequate funds. 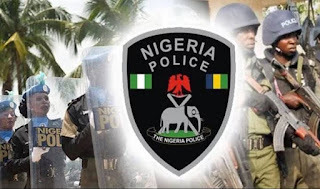 Chukwudebelu said, it was not likely that any of the workers was trapped as they were just arriving when the incident happened. He however regretted that concerned authorities were yet to bring excavators to remove the debris to confirm if bodies were trapped in the building. “But I don’t think anyone was trapped since it is an uncompleted building and the workers had not come to work by the time it happened,” he said.